HEATED SEATS, SUNROOF, BACKUP CAMERA, SIRIUSXM RADIO, REAR PARK ASSIST, AM/FM radio: XM, Brake assist, Front Bucket Seats, Heated Front Bucket Seats, Heated front seats, Leather Seat Trim, Leather Shift Knob, Power Liftgate, Power moonroof, Remote keyless entry, XM Radio. CARFAX One-Owner. Clean CARFAX. Crystal Black Pearl 2013 Honda Odyssey EX-L FWD 5-Speed Automatic 3.5L V6 SOHC i-VTEC 24V 18/27 City/Highway MPG Odometer is 2647 miles below market average! Many of our customers are hesitant to take the switch to a minivan, but once they realize the comfort and convenience they offer, they become lifelong minivan fans, or as we call them, minifans! Come check out this Honda Odyssey, you won`t be disappointed! Find out why our dealerships have won DealerRater.com DEALER OF THE YEAR a whopping 10 TIMES! Call, email, or live chat with one of our friendly sales professionals now to schedule your test drive! Hello, I would like more information about the 2013 Honda Odyssey, stock# QT00726A. I would like test drive the 2013 Honda Odyssey, stock# QT00726A.  Please text me about this 2013 Honda Odyssey (5FNRL5H6XDB022065).